The first Harry Potter book was published in 1997 with a hardback print run of just 500, each of which is now worth £40-50,000. Since then the seven Harry Potter books have sold nearly 500 million copies and the eight films based on these books have grossed £6.5 billion, making J. K. Rowling the world’s richest author with a fortune of around £600 million. Trains have always been important in the Harry Potter stories. J. K. Rowling’s parents met on a train and she had the idea to create the character while travelling on one. Due to logistical problems, the space between platforms four and five in King’s Cross Railway Station was used in the Harry Potter films when trainee wizards take the Hogwart’s Express at 11 am on 1 September. A platform 9 3⁄4 sign and half-disappeared trolley were erected inside the station in 2012 and this has since become one of London’s most popular photo opportunities. 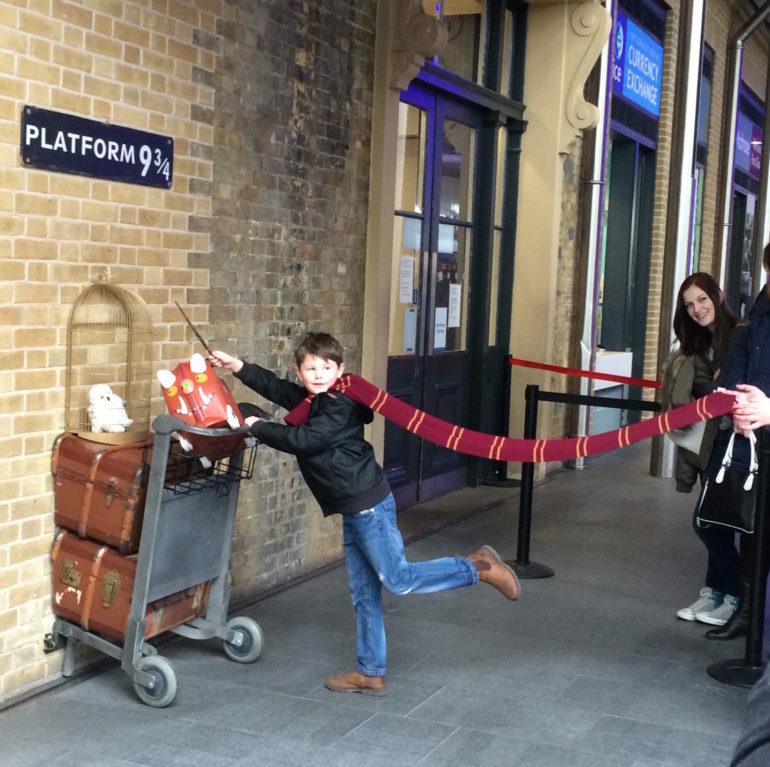 Harry Potter fan at Platform 9 3/4 at London’s Kings Cross Station Photo Credit: ©Edwin Lerner. The eighth instalment of the Harry Potter story takes place nineteen years after the final book. 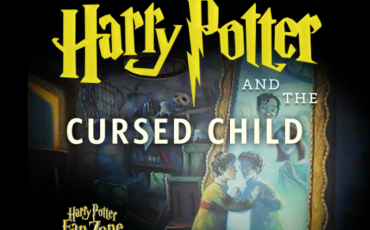 Harry Potter and the Cursed Child, a two-part play by Jack Thorne opened at the Shaftesbury Theatre a year ago and is scheduled to open in the Lyric Theatre on Broadway in the spring of 2018. All performances are sold out but there is a lottery every Friday at one pm offering forty low-priced tickets. Warner Bros. 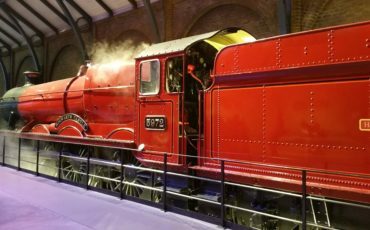 Studio Tour London – The Making of Harry Potter has been the highest-rated attraction on Trip Advisor since it opened five years ago in what was once the world’s largest aircraft-making factory at Leavesden in Hertfordshire. It is still a working film studio that has been used in the making of James Bond and Star Wars films. Visiting the Warner Bros. 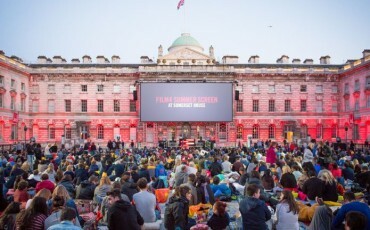 Studio, King’s Cross station and other iconic London sites referenced in the Harry Potter books and movies are all possible on our popular London Harry Potter Tour lead by a knowledgeable Blue Badge Tourist Guide.